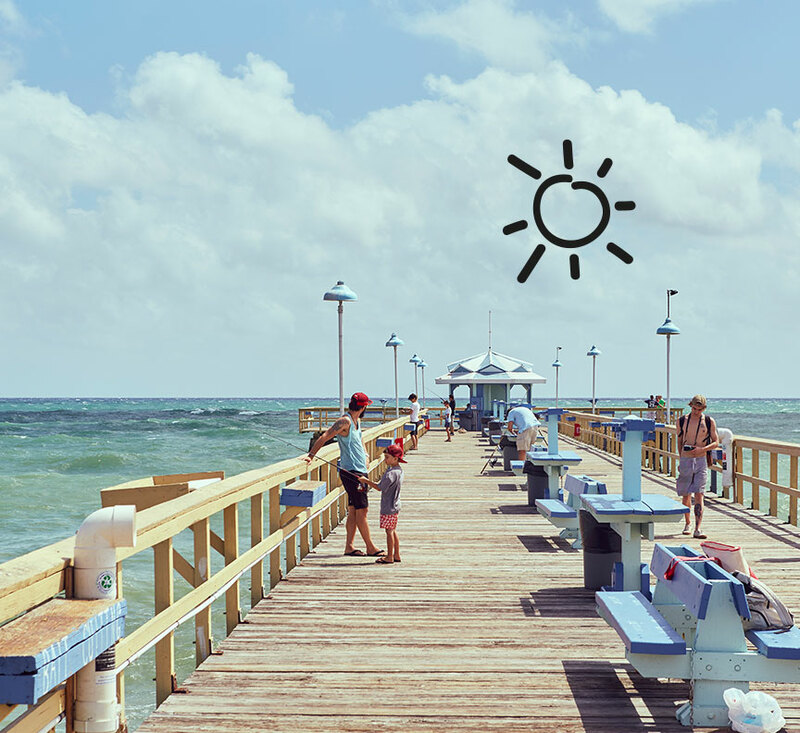 You know it as Lauderdale by the Sea but, around here, we call it "The Great American Beach Town." Our little corner of paradise measures a mere 1.5 square miles – and about 44% of that is water. But enough about the stats. Tucked just north of Fort Lauderdale, our tiny enclave is actually a barrier island between the Intracoastal and the Atlantic, dotted by palm trees, fishing piers and striking examples of Miami Modern architecture. In other words, a pretty place to while away a few days (or weeks) on a sunny stretch of beach, go scuba diving, snorkel and sharpen your golf swing. Lauderdale by the Sea is the "Shore Dive Capital of South Florida," drawing underwater explorers to easy-to-access dive sites like the SS Copenhagen, located less than a mile offshore. Afterwards, enjoy a bite at the Sea Watch Restaurant on A1A, a popular post-dive lunch spot located within swimming distance of the shipwreck. Lauderdale by the Sea even has a living coral reef, known as the "first reef," just 100 yards offshore where spiny lobster, sea fans and barrel sponges create a colorful habitat. With most buildings under four stories tall, our pedestrian-friendly commercial district is full of seaside charm, with dozens of cute boutiques, casual restaurants and lot of low-key community events, including the Block Party at Anglin’s Square on Friday nights, a perfect kick-off to another weekend on the waterfront.